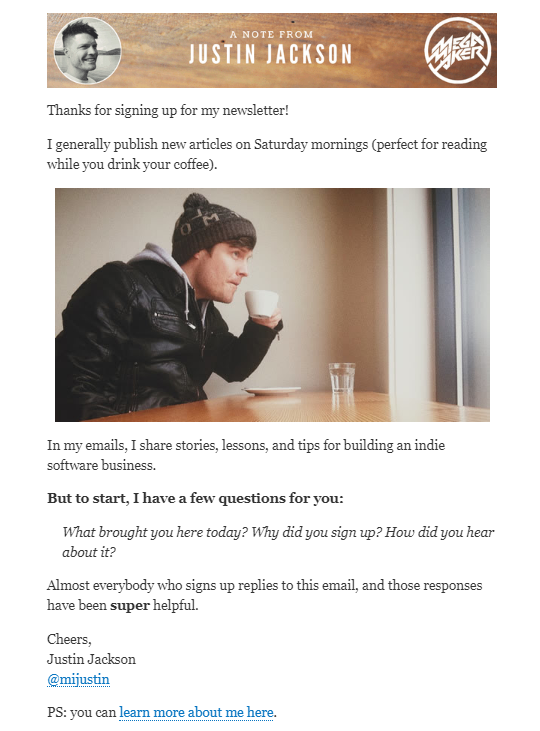 I just signed up for a blog newsletter, and I immediately received a welcome email from the founder. Pretty standard stuff, honestly. I usually don’t read these welcome emails, but this one was titled “why’d you do it?” and I my immediate thought was – do what? What did I do? Almost everybody who signs up replies to this email, and those responses have been super helpful. I didn’t want to be the only person who didn’t respond. Who would? I didn’t want to be the only unhelpful person. Who would? That is a powerful way to end an email and a very clever way of using Fear of Missing Out (FOMO) to elicit responses. My next article is going to be even better! Enter your email address and I'll email you when it's ready.